PADI Rebreather Instructor – will be able to teach all recreational rebreather diver programs on the specific unit(s) they have qualified on. There will be no direct applications for this rating. Candidates will need to be qualified rebreather divers with experience on the specific unit. Experience will probably need to be in excess of 50 hours, however precise requirements are still to be confirmed. 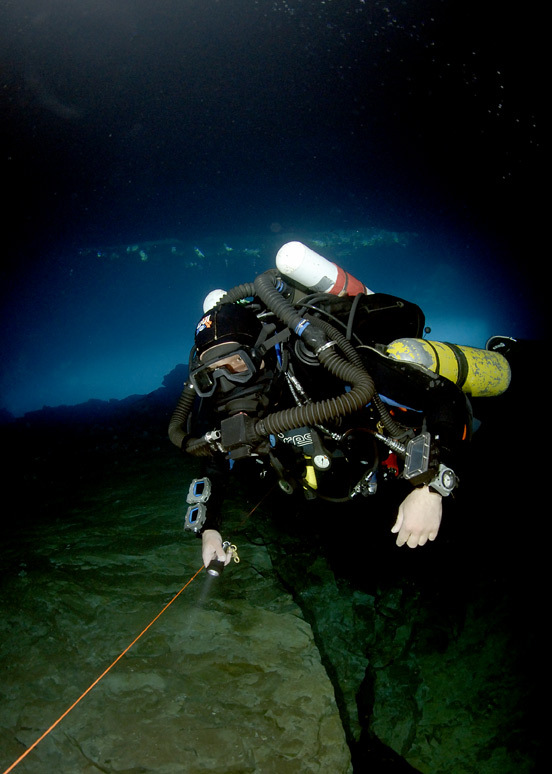 Candidates will attend a rebreather instructor course conducted by a Rebreather Instructor Trainer. Instructors crossing over from one unit to another will attend a shorter program ensuring they have the required skill and knowledge on the new unit. Instructors crossing over from other organisations will attend a shorter program ensuring they have the skill and knowledge to teach PADI rebreather courses. Instructors will be required to use the same rebreather as the students when teaching a course. Course Directors or TecRec Instructor Trainers who are also PADI rebreather Instructors will attend a Rebreather Instructor Trainer program to orient them to teaching rebreather instructors. Providing they meet PADI and manufacturer experience requirements Rebreather Instructor Trainers will be able to teach instructors on any unit for which they are PADI rebreather instructors. The estimated launch for these courses is 3rd Quarter 2011. PADI Staff will conduct programs to teach the first rebreather instructors and trainers at events organised by the Rebreather Advisory Team and Instructor Development teams in each Regional Head Quarters. These events will be at strategic locations throughout each region and will be scheduled as soon as possible after launch, however, we will need to allow for product delivery times. Tec CCR programs will be launched later in 2011. Courses will follow a similar format, however, instructor and trainer qualifications are more complex as there will be several levels. Photos provided by Dr Richard Harris. Congratulations! For a fast, new, modern approach to this new era in scubadiving…. Keep up the good work! Where can one find a list of Type R Rebreathers?